TOMMY WISEAU IN PERSON - 2019 LOVE IS BLIND TOUR ! "THE ROOM" = FUN! FUN! EXHIBITION/BOOKING"THE ROOM" for your theater or event click here. 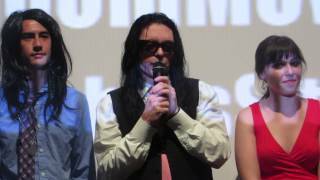 LOVE IS BLIND 2018 TOUR - "THE ROOM" + TOMMY WISEAU in PERSON! BE PART OF THE Feb / March - "The Room" EVENTS - FUN! FUN! FUN! 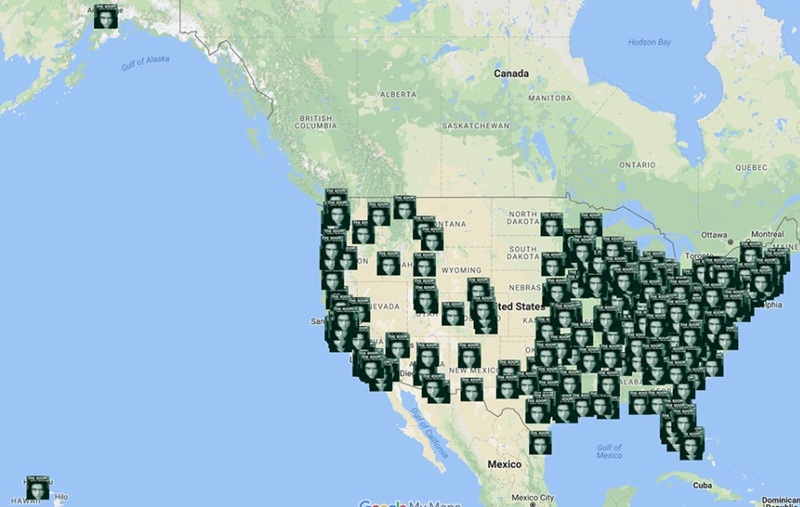 "The Room" - CHECK YOUR LOCAL CINEMA HERE CLICK HERE ! Monthly Screenings - REGENT, Los Angeles, CA 90024 -Monthly Screenings! Time: 12:00 Midnight! Place: *REGENTLANDMARK - check on line-Monthly screeningCheck schedule on line-LOS ANGELES! WE will see you at the screening! CLICK on THE PICTURE! WHAT A STORY MARK? SCREENING EVERY MONTH! - PLAZA Theater- ATLANTA! ***Brookline, MA at the Coolidge Corner Theatre -Chek schedule on line! PAST EVENTS "The Love is Blind Tour." ||The USA screenings of "The Room"
Are you ready to see reflection of your life? ENTER "The Room" and leave forever changed! Be a part of history! It's a NEW GENERATION! 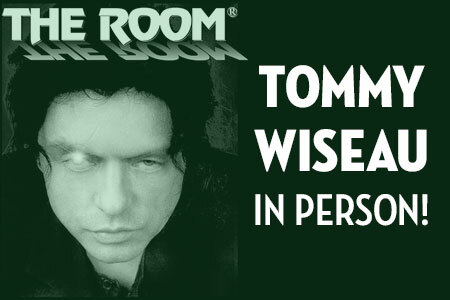 WISEAU-FILMS cordially invites you to all screenings of "The Room!" July 31, 2010! Great Time! May 29, 2010 Great Time! April 24, 2010 Great Time! Feb, 27, 2010 Great Time! Sept. 26, 2009 Great Time! Aug. 29, 2009 Great Time! July 25, 2009 Geat Time! **PARKING INFO: Three hours of parking is free with a validation from the theater. July 25, 09 Great Time! June 27, 09 Great Time! May 30, 09 Great Time! April 25, 09 Great Time! March 28, 09 Great Time! Oct. 25, 2008 Great Time! Sept. 27, 2008 Great Time! August 30, 2008 Great Time! July 26, 2008 Great Time! June 28, 2008 Great Time! May 31, 2008 Great Time! April 26, 2008 Great Time! March 29, 2008 Great Time! February 23, 2008 Great Time! January 26, 2008 Great Time! December 29, 07 Great Time! November 24, 07 Great Time! October 27, 2007 Great Time! September 29, 2007 Great Time! August 25, 2007 Great Time! July 28, 2007 Great Time! June 30, 2007 Great Time! May 26, 2007 Great Time! April 28, 2007 Great Time! March 31, 2007 Great Time! February 24, 2006 Great Time! January 27, 2007 Great Time! December 16, 2006 Great Time! November 25, 2006 Great Time! October 28, 2006 Great Time! September 30, 2006 Great Time! August 26, 2006 Great Time! July 29, 2006 Great Time! June 24, 2006 Great Time! May 27, 2006 Great Time! April 29, 2006 Great Time! March 25, 2006 Great Time! February 25, 2006 Great Time! January 28, 2006 Great Time! December 17, 2005 Great Time! November 26, 2005 Great Time! October 29, 2005 Great Time! September 24, 2005 Great Time! August 27, 2005 Great Time! July 30, 2005 Great Time! June 25, 2005 Great Time! We had an enthusiastic audience on Saturday, April 24,2004 and we will be showing "The Room" in NEW YORK CITY again. We had an entusiastic audience on Tuesday, April 6, 2004 and we will be showing "The Room" in Okland again. 7:00 p.m.
Las Vegas Palms Casino, Las Vegas July 2, 2004 7:00 p.m.
February 24, 2004 7:00 p.m.